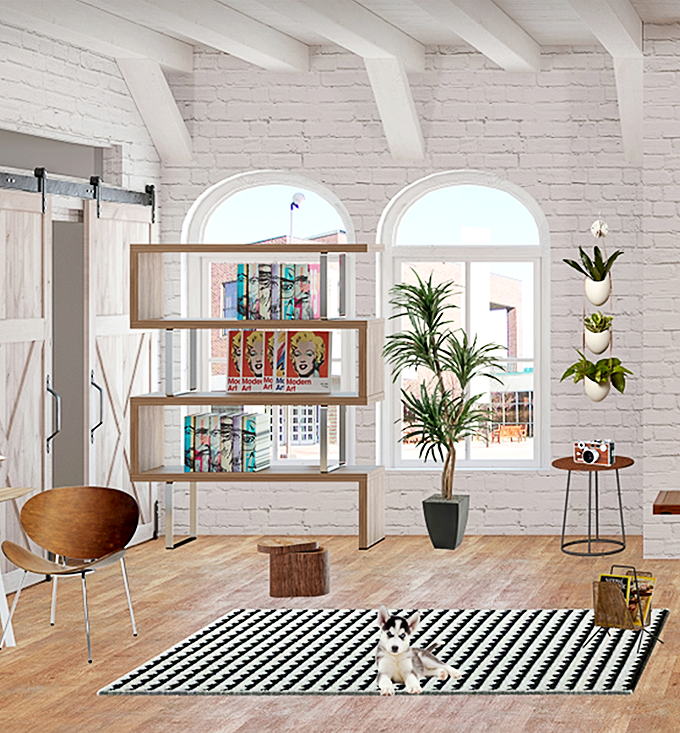 I am by no means an interior designer, but that doesn't stop me from having regular fantasies about how I'd design rooms from scratch (especially with an unlimited budget). Obviously I've decorated each of the rooms in our home, but other than Essley's nursery (which aside from the unlimited budget part was my designer fantasy dream come true because I got to start with a blank slate), every one of them has been a drawn out process of adding and/or removing things here and there over time. Someday though, I'm going to redecorate my entire house with all of the furniture, artwork, paint, floors, and knick knacks I want. Until that happens (in other words, until I win the lottery) though, I have myWebRoom to scratch that itch. 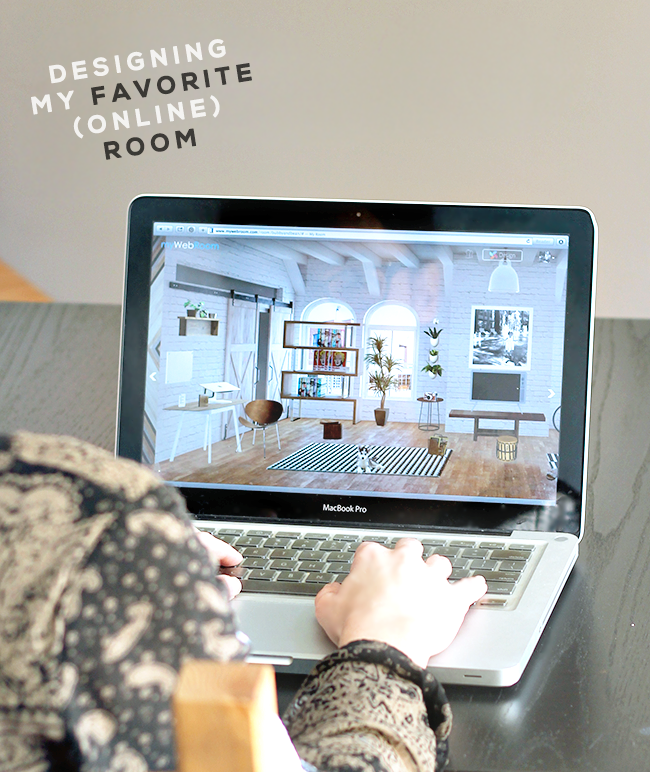 In case you aren't yet familiar with myWebRoom, it's a fun, beautifully designed site that allows you to bookmark your favorite websites, design your dream room (from the basic room itself to the tiniest details of what is in it), discover new content, interact with and shop for the products you love, and connect with friends, all from your computer. When I was first introduced, it was at the end of a long work day. I was exhausted but intrigued, and I figured I'd just spend a couple of quick minutes exploring. 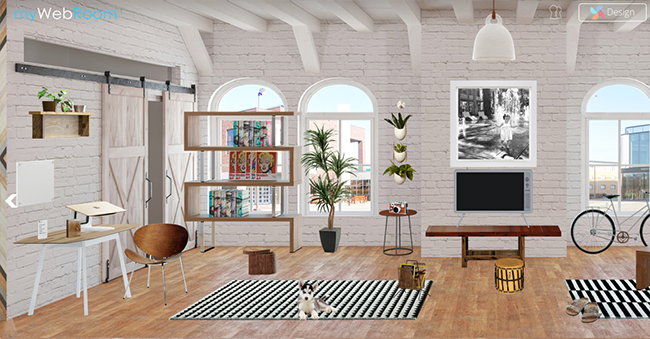 I ended up designing an entire room in one sitting, all the way down to the Jack Kerouac themed cell phone case sitting on the work desk and my imaginary doggy lounging on that killer black and white area rug. It's that good you guys. If you've been following this blog for long enough, you're probably not surprised by the way my room turned out - lots of white, lots of light, some small (but bold) yellow touches, a little black, a little wood, and plenty of plants. Also, can we talk about those sliding doors for a second? If they were mine I'd probably spend an entire day closing and opening them because, dude, just look at them. I'd also spend hours sitting on that super cheery mid-century couch eating bon bons while staring out the window at the urban oasis outside, but that's a whole different story. In short, I would live in this room in a second. And that's the coolest part. 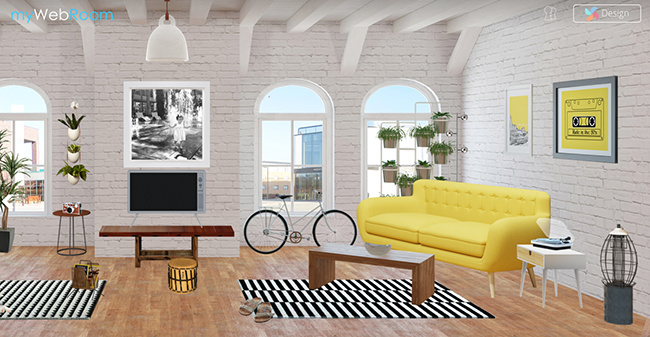 From hundreds of rooms themes, and thousands of objects, I was able to put something together that fits me to a tee. I've already started on a second room and there's no end in sight. When you join - and trust me, you should - you can find me under username @bubbyandbean (and be sure to send me a friend request!). Oh, and make sure you check out their Creative Minds Room. The folks at myWebRoom scoured the internet and hand-picked over 300 of the best resources for artists, designers, and creative minds (like you!) of all types. 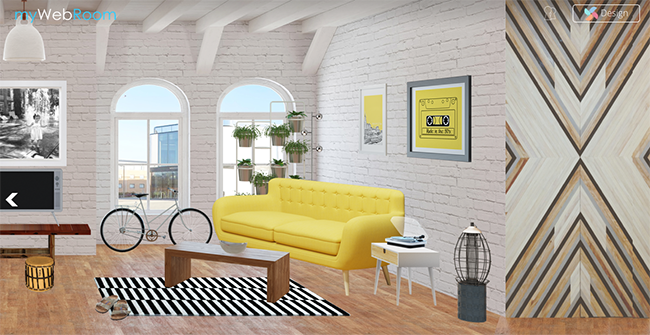 By clicking on various pieces of decor and furniture in the room, you can access different bookmark folders, and go from there. After 'hanging out' in this room for a while, it's impossible not to walk away feeling inspired and motivated. You can read more about the Creative Minds Room right here. Are any of you on myWebRoom yet (be sure to leave your username in the comments, if you are)? What would your dream room look like? This post is in partnership with myWebRoom. Thank you for supporting Bubby & Bean by allowing me to post occasional sponsored content. What a fun site! Wish I would have known about this when I designed my studio. Love all the details you can add, and that you can even add a dog! This looks like my dream room too! I need to check this website out stat. This looks like such a gorgeous space! I just know I'll be addicted to this site! Love the barn door!